Re was created to support the reduction of human impact to our planet by encouraging creativity, craftiness and ingenuity with the material that already exists. Through the social network platform, users will be inspired by the ideas and projects posted. Trends are identified by the users through a ‘like’ system and then visualized as a scroll of photos for a seamless user experience. Re’s users are environmentally conscious and associate with an anti-consumer mentality. Their goal is to make use of the material that is already out in the world. Re aspires to connect repurposers from around the world to learn from each other and work together on innovative, upcycling projects. The inspiration for Re came after researching how to repurpose dryer sheets. Did you know!?! - dryer sheets can be used as rodent repellent! Finding information on repurposing is scattered between different blog posts, websites, and user comments; often conflicting each other. As a response to this cumbersome process, Re was born to create a central, social platform for repurposing projects. The primary section of the application, Explore, is for scrolling through completed projects to find inspiration. Users scroll through a stream of posts, easily swiping between a before and after image, to decide if interested in seeing detailed project information. Added into the stream are also posts of Material, where users are looking for advice or bids on their material. The searching section of the application, Material, is where users look through material posts, both locally and globally. Material posts are seeking either: 1) advice on how to repurpose, 2) a bid for a barter exchange, or 3) money to pickup the material. This is where the marketplace of the social network lives in the application. Post is where users go to share. At first, users determine if they are sharing a completed project or posting material. A material post would be seeking 3 reactions from the community: advice, bid, or money. 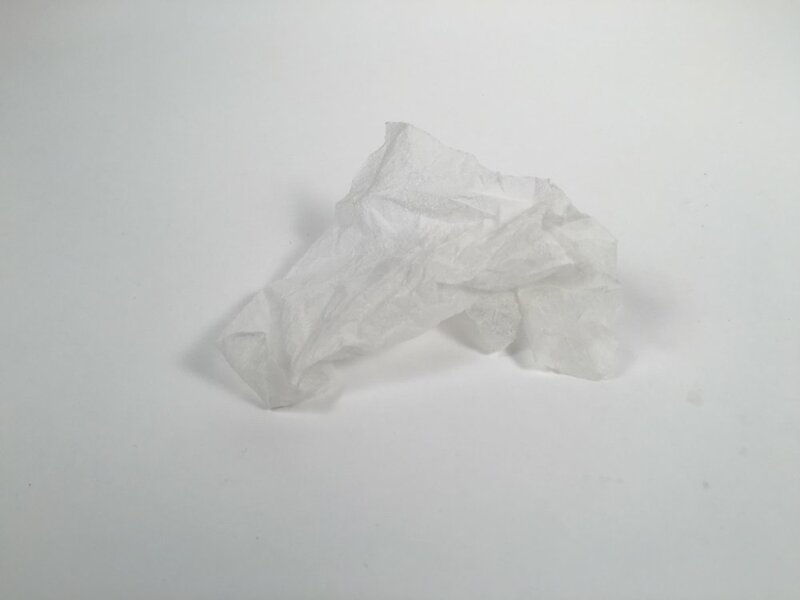 Re was created through a series of design sprints, and it all began with throwing away a dryer sheet. The first activity was to sketch 100 redesigns for the dryer sheet. Through researching dryer sheets, it was found that dryer sheets can be used as rodent repellent. 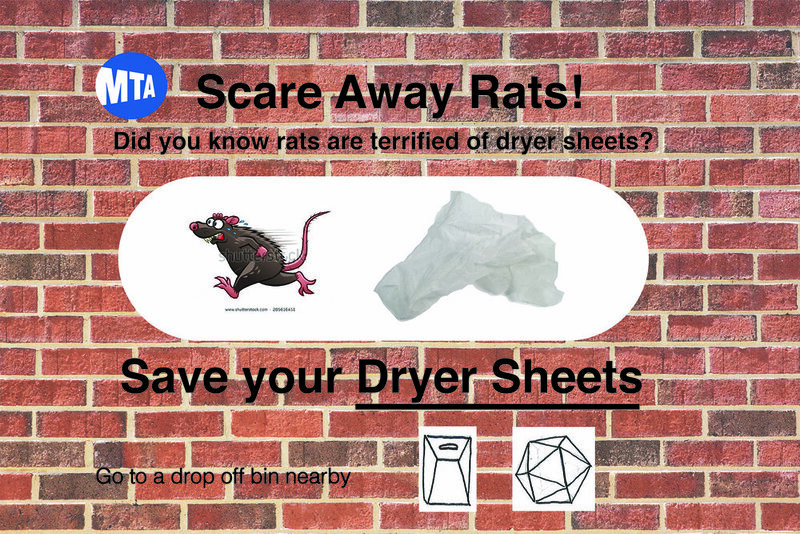 This interesting tidbit inspired a speculative MTA awareness campaign to place dryer sheets around the subway to manage the rat population. The next activity was to storyboard the redesign, which illustrated the MTA awareness campaign in practice and clearing the subway of rats. After storyboards, next was to develop a platform based on a previous concept. Inspired by the cumbersome research process to find out how to repurpose dryer sheets, Re was born to create a central, social platform for repurposing projects. After the initial platform was created, competitive market analysis was conducted and full branding was established to clarify the product and identify any significant issues. Lastly, Re was refined by clarifying platform functionality and solidifying a brand.